In a few months, I will be hitting the BIG 4-0! One of the things that I dread is the fact that I will reach the stage where I can gain more weigh faster than losing it. It is because the metabolism works differently sluggishly when you are over 40. Truth be told, I am having a hard time keeping my weight off. 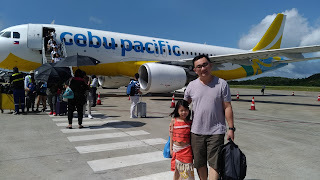 These past few years, I have already tried different ways to lose these excess pounds. I have tried slimming machines which were effective but were too expensive and very inconvenient. I have to go to the slimming center and spend a couple of hours for the duration of the treatment. It used to be feasible when I have a nanny who can look after my daughter when I am away but not anymore. I have also tried food delivery service. It was highly effective but my energy level dropped, I no longer have the strength for any physical activity including playing with my active toddler. I felt really awful! Fast forward to today, a friend of mine introduced me to MySlim YerbaMate drink. 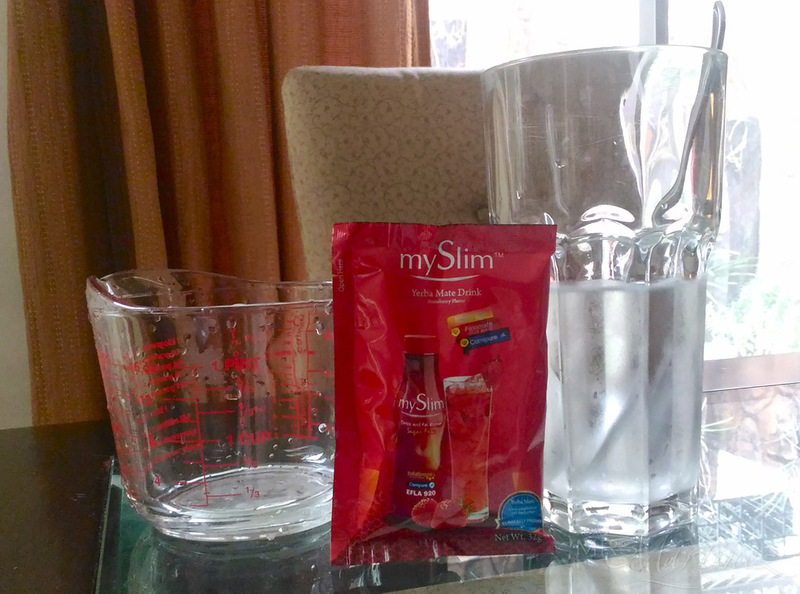 It comes in a ready to drink handy bottle and a sachet. Before trying it, I researched about its three main ingredients- Isomalt/Palatinose from Beneo-Palatinit GmbH, Germany; Finomate/EFLA 920 from Frutarom, Switzerland; and Carnipure from Lonza, Switzerland. Palatinose is used as an alternative sweetener to this sugar-free drink. It is known as the better energy because it is naturally derived from sucrose. It also balances your sugar levels so your energy level is stable throughout the day. What is Finomate/EFLA 920- Yerba Mate Leaf Extract (250mg)? The fat burning power of this drink works double time with Yerba Mate Leaf Extract. 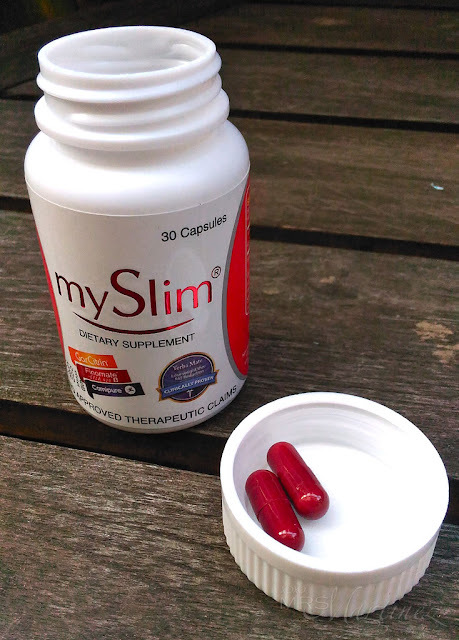 It not only suppresses appetite but also reduces reabsoprtion of fat by increasing the fat burning process. Carnipure is a hi-grade L-Carnitine. It helps with weight loss by converting body fat into energy. After researching all of the above, I eagerly tried MySlim Yerba Mate drink. 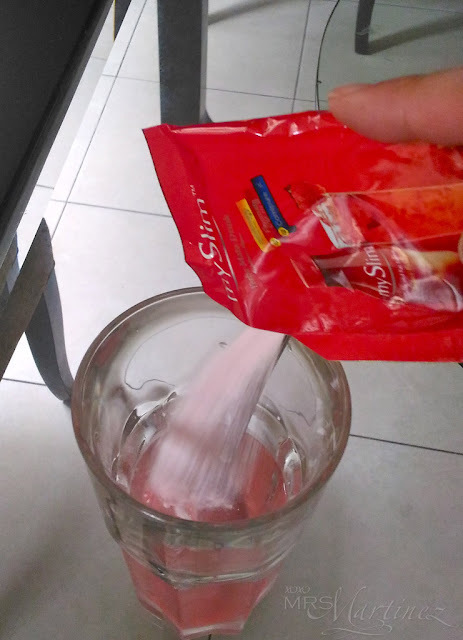 First, the ready to drink bottle then I tried the sachet after 3 days. Amazingly, I lost 3 pounds in one week without any food restrictions! In both variants, the effect on me was immediate- approximately within one to two hours. I felt the urge to go to the toilet several times within the next several hours. For those of you who are wondering if I experienced any stomach pains, the answer is no, I didn't feel any. Surprisingly, MySlim Yerba Mate drink tastes really good. 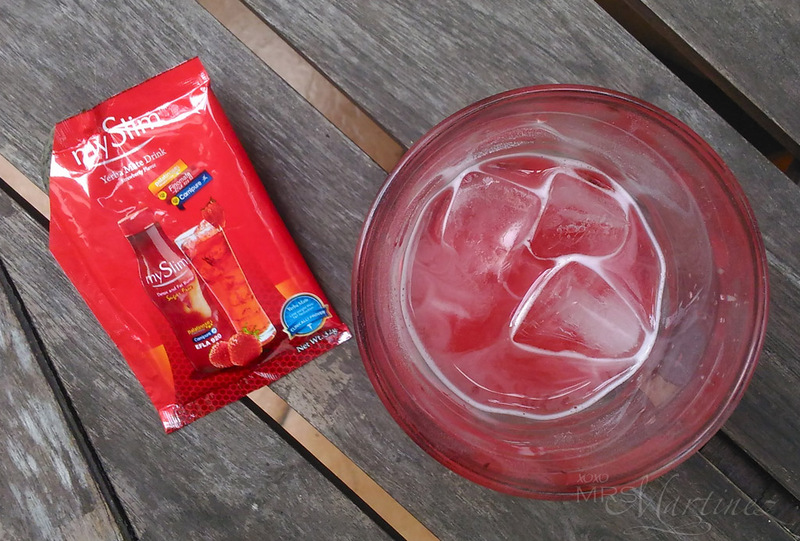 The sweetness is just right, it's just like drinking my favorite strawberry juice. There was no taste difference between the handy bottle and the sachet. 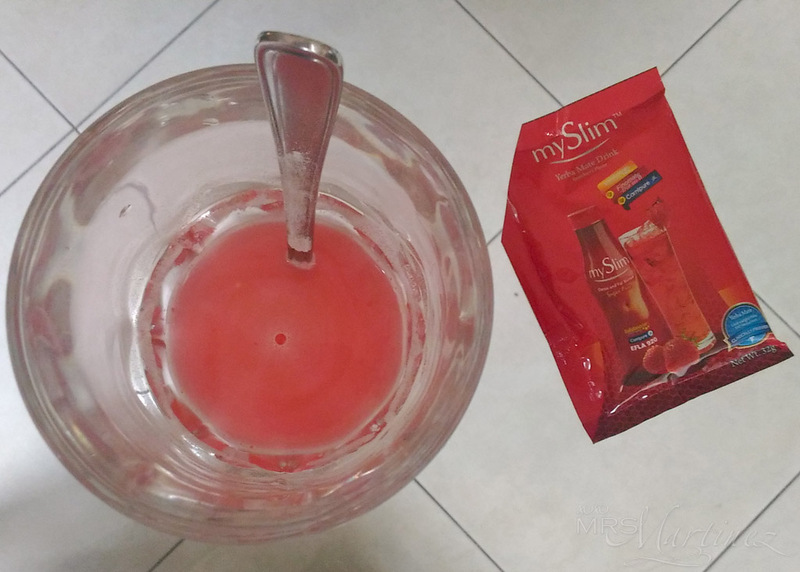 On days when I don't take MySlim Yerba Mate drink, I took MySlim Natural Fat Burner Complex to curb my appetite while continuously flushing those unwanted pounds away. *Not recommended for children, pregnant and lactating women. 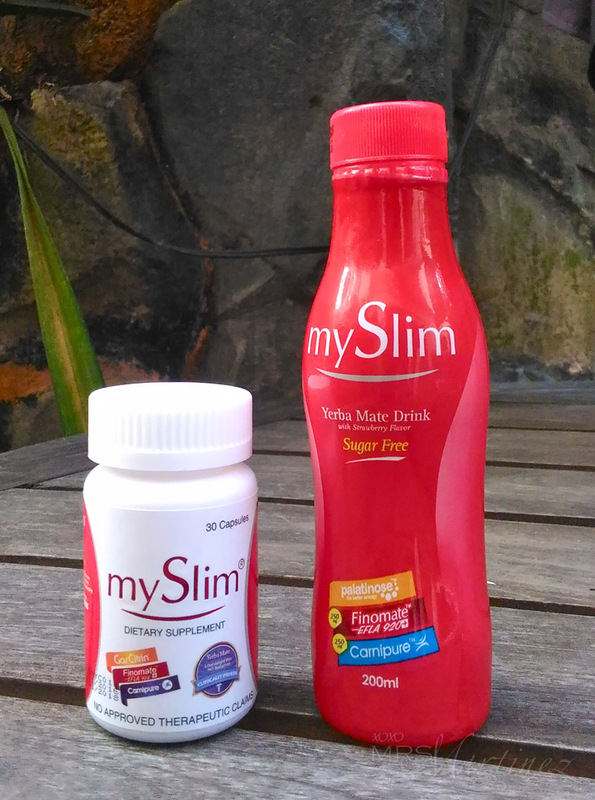 My Week 1 experience with MySlim Yerba Mate Drink and MySlim Natural Fat Burner Complex Capsules has been good. I lost a couple of pounds without losing all my energy and breaking the bank. I am looking forward to continuously lose a few more pounds in the weeks to come until I reach my target weight of 105 pounds! MySlim Yerba Mate (Detox & Fatburn) Drink and MySlim Natural Fat Burner Complex Capsules are available in Mercury Drugstores, Watsons, SouthStar Drugstores, 7 Eleven, Robinsons Supermarket, Rose Pharmacy and St. Joseph's Drugstore. You may visit Vida Nutriscience for more information about these products. 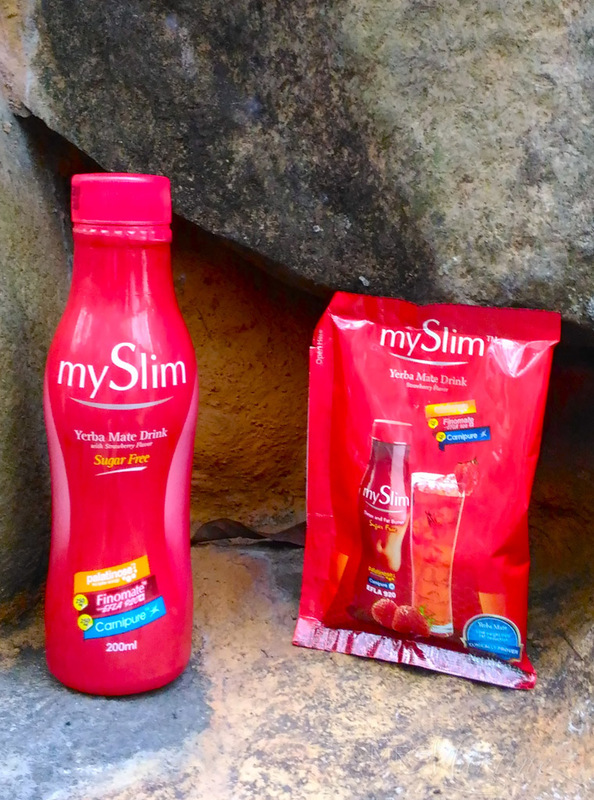 Like MySlim PH on Facebook. 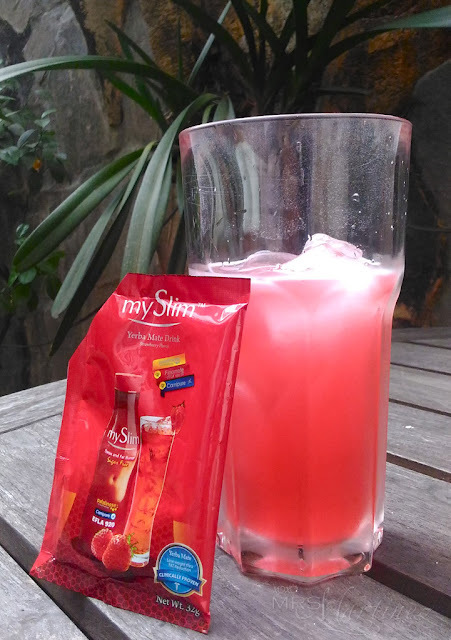 Follow @myslimdetox on Instagram and Twitter.